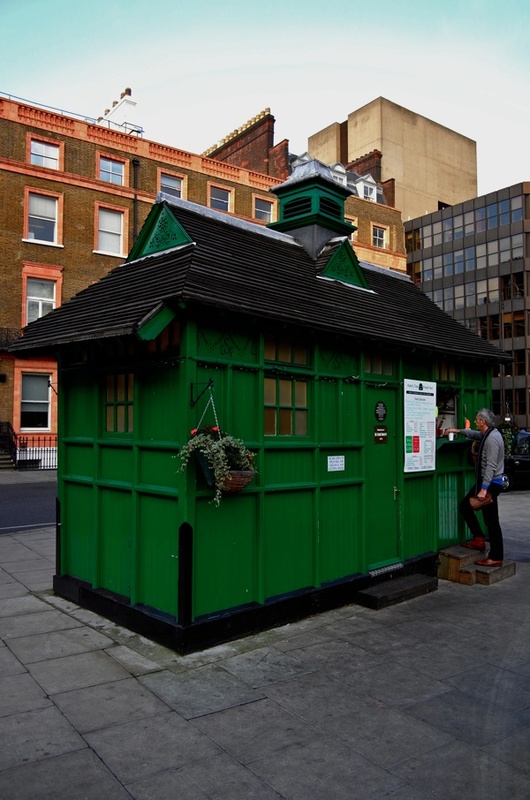 Inspired by the life-size replica of a cabbies’ shelter that Contributing Artist Adam Dant has installed as the centrepiece of his new exhibition at the Bloomberg Space in Finsbury Sq, I set out to photograph those still to be found on the streets of London. 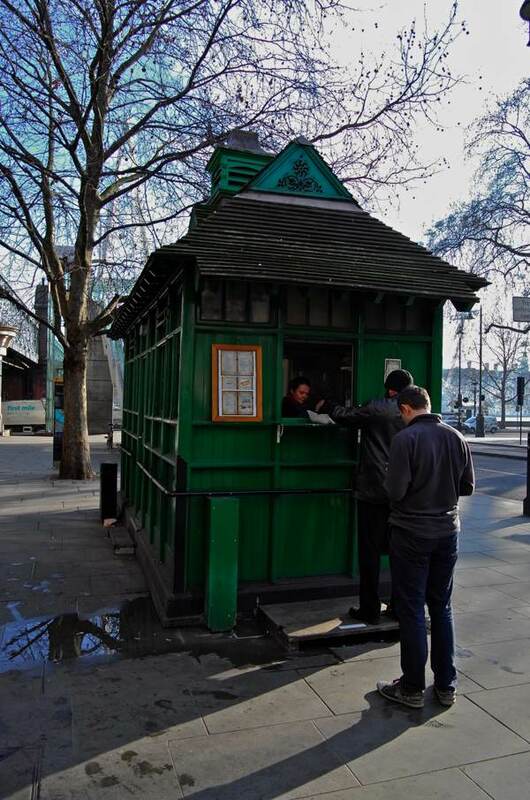 Today, only thirteen remain but all are grade II listed and, on my chilly pilgrimage around London in the winter sunshine this week, I found them welcoming homely refuges where a cup of tea can be had for just 50p. 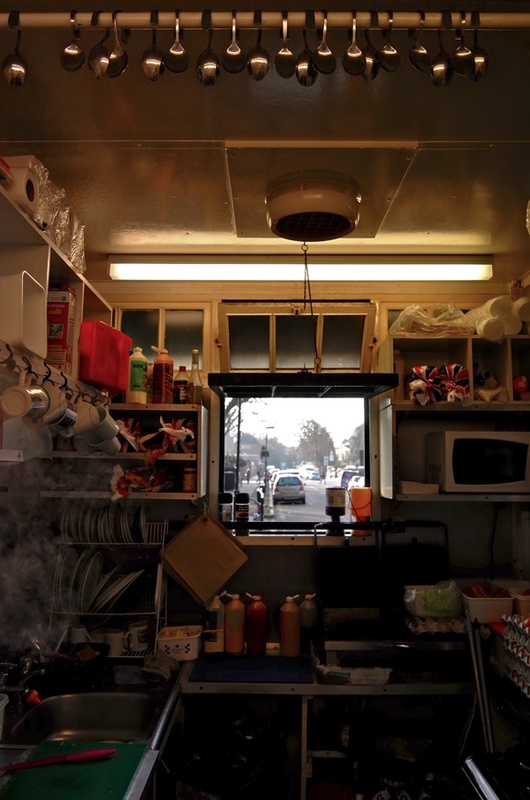 Holey moley, those tiny take out shops are SO CUTE!!! how very nice. the menus intrigue me, and i couldn’t read any of them. thank you also for the cozy compact interior shot. What interesting little places! I hadn’t heard of these but am glad they’ve been rescued and listed so we can still see them and will be sure to look out for them next time I’m out and about. Thanks for this lovely post! Quite fascinating. Never realized before just what they were. 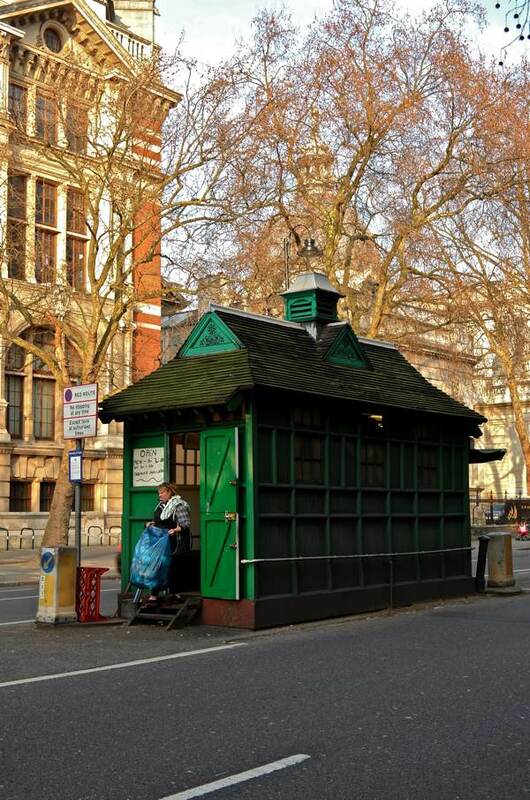 So Happy to see such a thoughtful photo record of these Cabmen’s Shelters and their current use and condition! 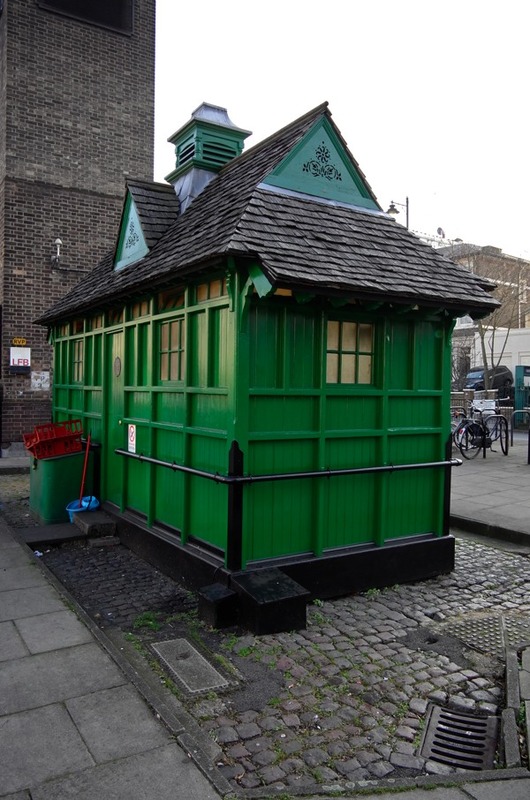 I was among the 7 Historians of the G L C’s Historic Buildings Division who worked on research and recording of listed buildings when these little gems were listed back in the late 1970′s. 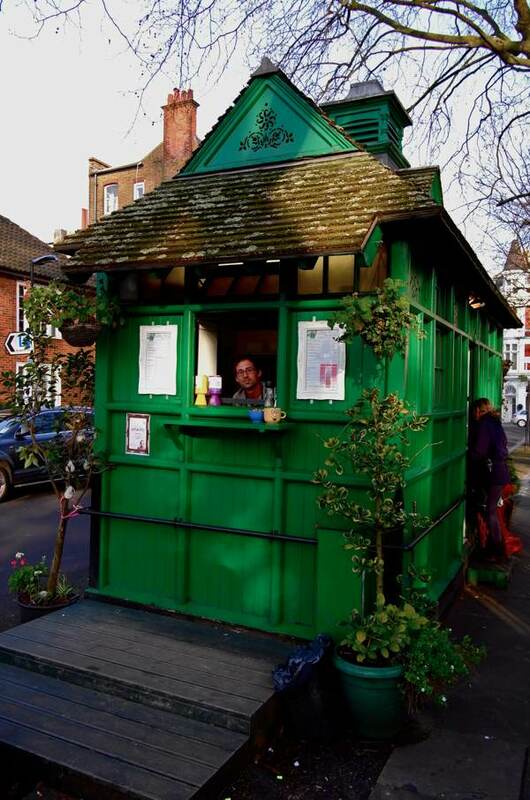 There is also one on Rosslyn Hill, Hampstead Green, NW3, although sadly it has been re-built in a much plainer style. 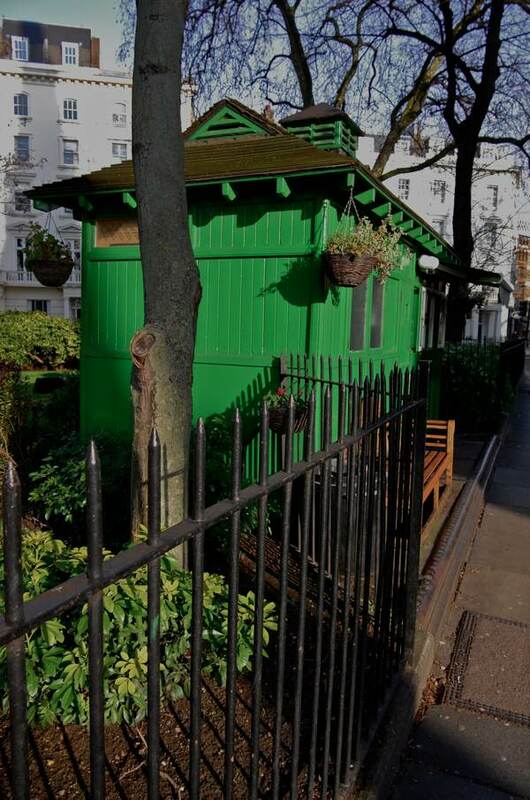 There is another shelter in South End Green, Hampstead. 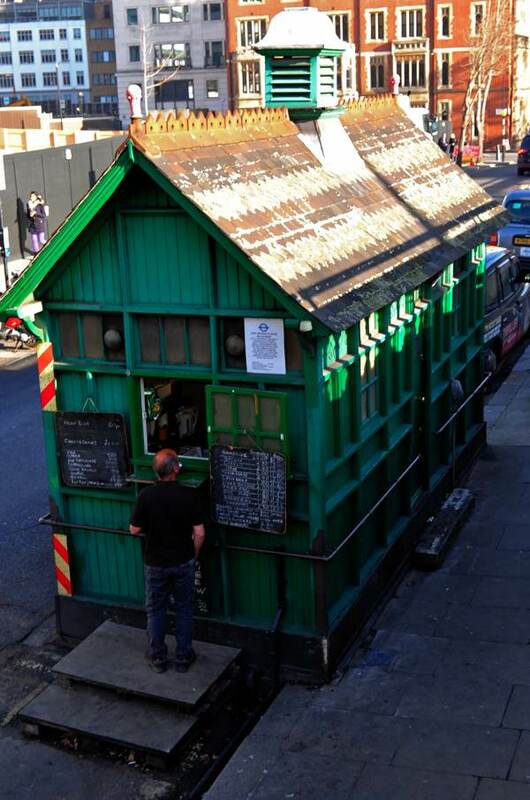 Well done for featuring these vestiges of a time gone by, and still being used today. 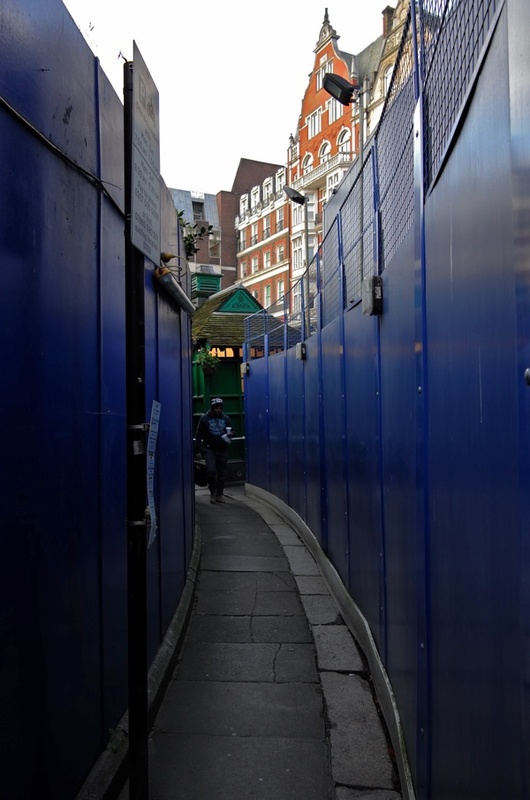 They are so familiar on London’s streets and I have always wondered how they looked inside. Thank you for featuring them! Fine! 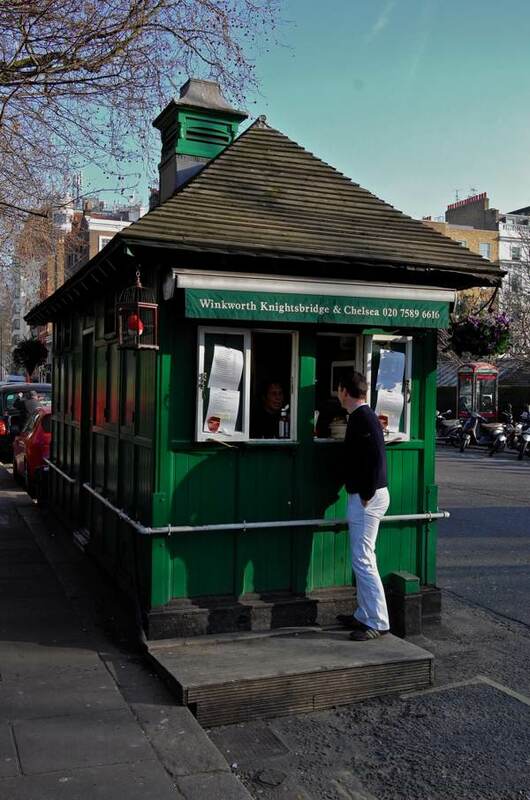 In Germany they are called Kiosk. There are thousands of them everywhere. 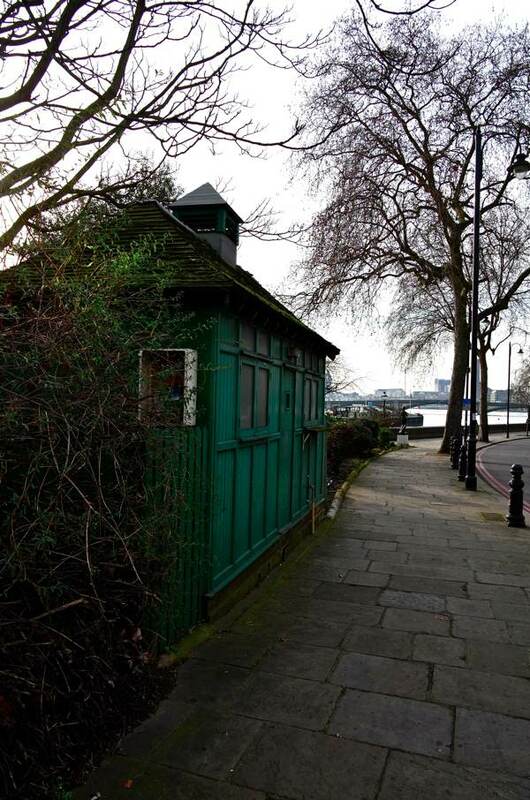 And you can get nearly everything from this little huts! I had a very nice fry-up breakfast in the one in St John’s Wood, with my son, when he was a baby and I was a new mum, going slightly mad with motherhood. It was great – seats round the edge facing in and a kind of plank at table height to eat from. I don’t know if we were let in as a special treat because I had a baby with me, I suspect non-cabbies don’t usually get to eat inside. We ate alongside some cabbies who weren’t very communicative. The woman in charge had commissioned her son to paint a mural on the inside, I think it was of some taxis. It looked great. Any ideas about who designed them? Wonderful photos. Always lifts my spirits when I happen upon one of these shelters. Love the green colour, so very 1930s! Have been using these on and off for the past 24 years most have their regulars days/nights alas a vanishing part of the cab trade, I actually picked up Lord Shaftesbury many years ago and had a chat about them it it said they came about to stop the poor blokes freezing outside or getting drunk in the pubs trying to keep warm..
Last year there was a wonderful public art project responding these amazing shelters, there is lots of info on the site. When I read about it , straight away I thought of you, Gentle Author, knowing you would adore them.I can now see here that you do ! !.Great photos. Thank you. 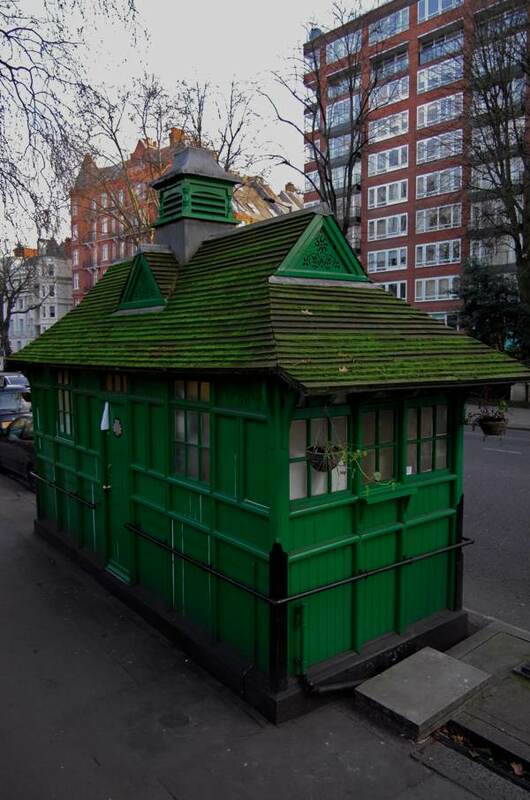 I was born in London in 1925 so remember the shelters (and horse troughs, the muffin man, lamplighter, etc). Some are still around today…what happy nostalgia. 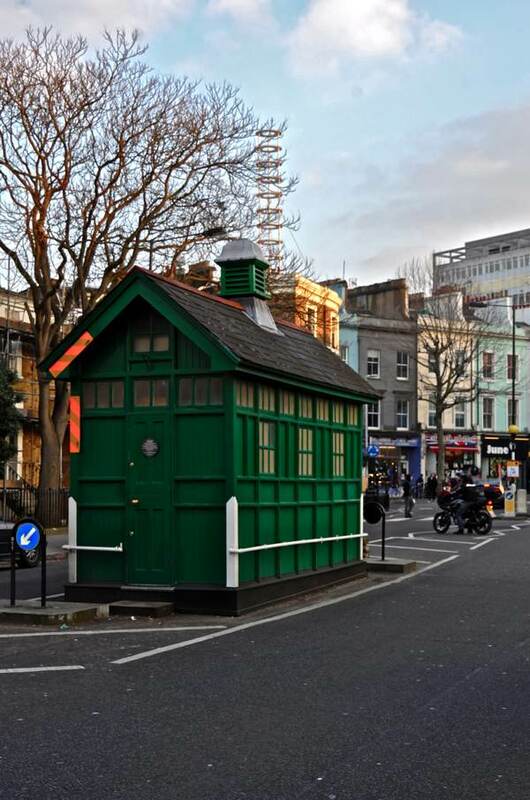 I visit London as often as possible, and have always loved spotting these “huts” all over town. The first time I noticed one, many years ago, I crept up to a side window and saw inside a cozy clutch of hungry men (all cabbies?) very busy tucking in. Learning the quirky history behind these structures has delighted me. Thank you for this post! Never knew such delights were even in existence. Thank you – You never fail to suprise me me. When I was kid in Lewisham. 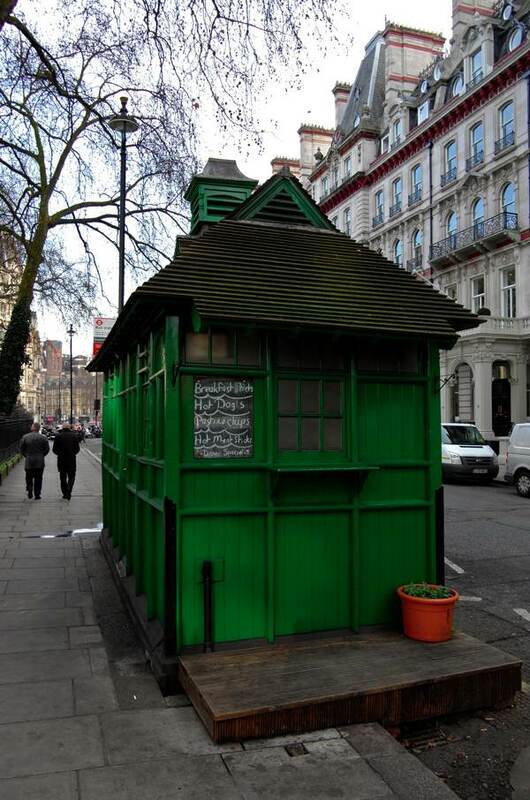 in the 1930′s I can remember a Green Cab Shelter. Almost on the River Quaggy. I believe that it was supported by stilts projecting from the footway. Can’t find any records or Photo’s . It would have been nearly opposite St.Stephens Church. Before The Quaggy went under the road where it joined the River Ravenbourne. Any ideas please. ?